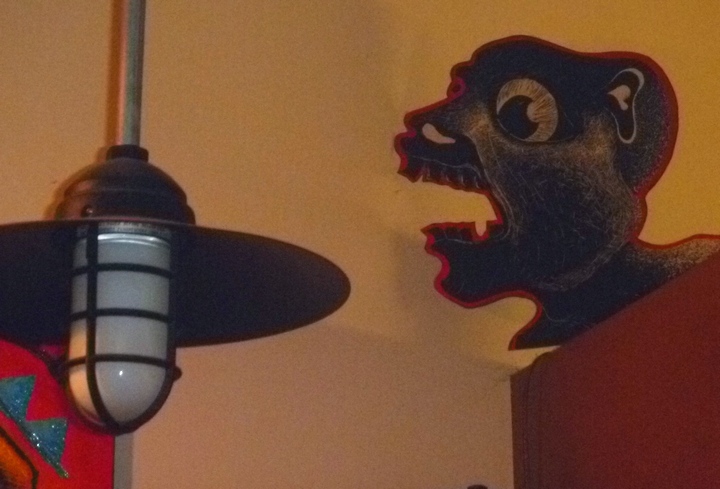 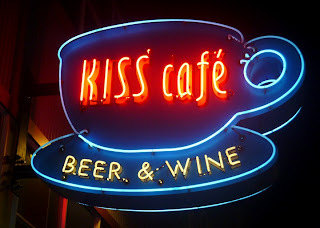 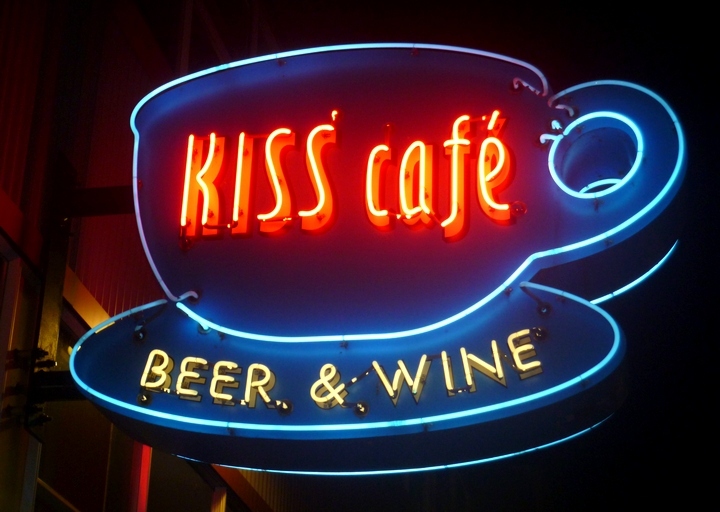 Kiss Cafe is a funky little place in Ballard that caters to beer lovers. 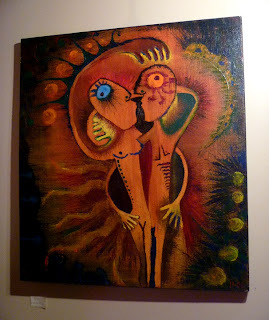 The "KISS" is said to stand for "Keep It Simple, Suckas,"and they maintain this in a comfortable, small space. 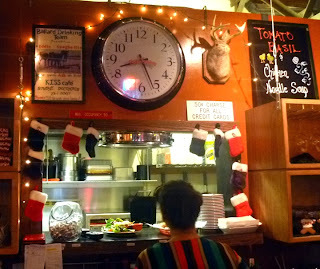 It has pretty good sandwiches and soups, and they're usually served with a jar of dill pickles. 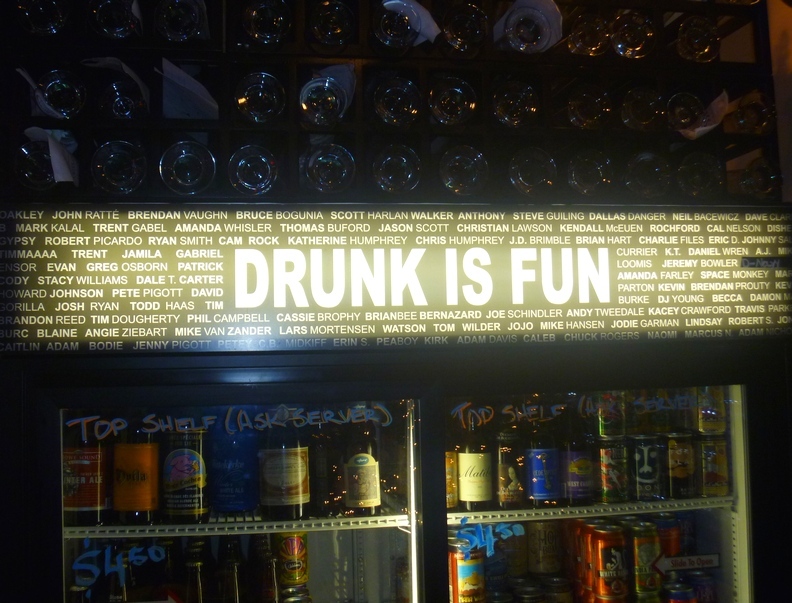 It also has choice of over 100 beers in bottles, and a wall full of custom beer bugs owned by the Ballard Drinking Team, a group of regulars who are working through 100 different beers.